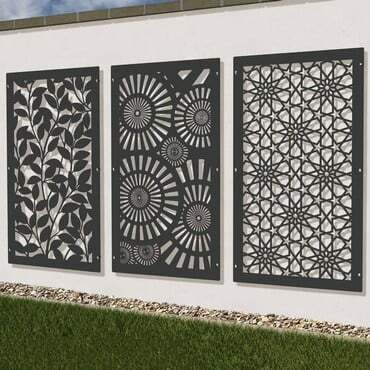 Harrod Laser Cut Screens are versatile and stylish screens which are perfect to add interest and for screening and delineating outdoor spaces. 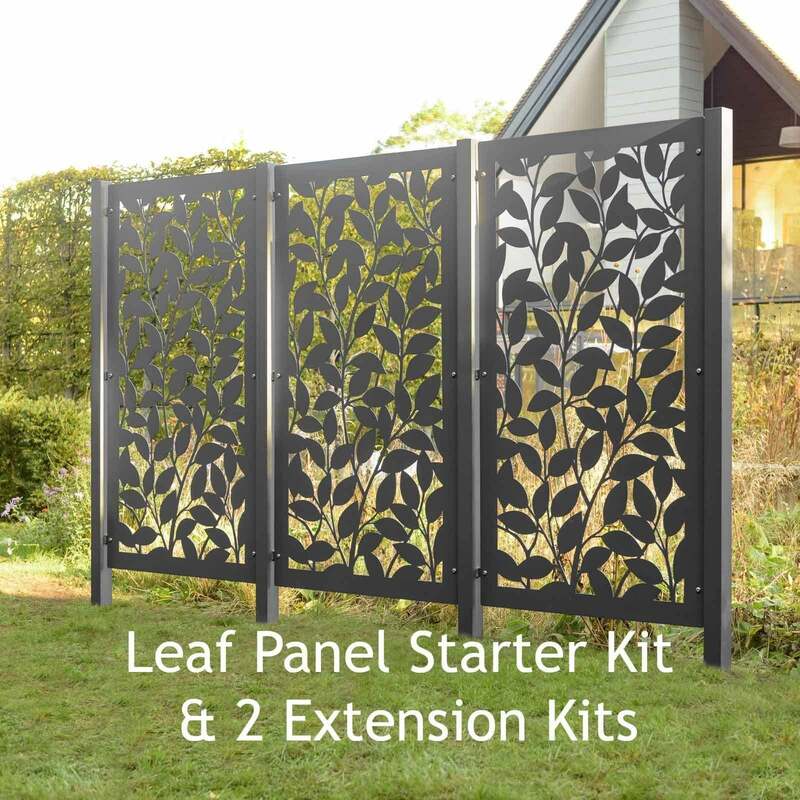 Please Note: Leaf Screen Starter Kits and Extension Kits are OOS till May - 15 Year Structural Guarantee! Harrod Laser Cut Screens are versatile and stylish screens which are perfect to add interest or for screening and delineating outdoor spaces. 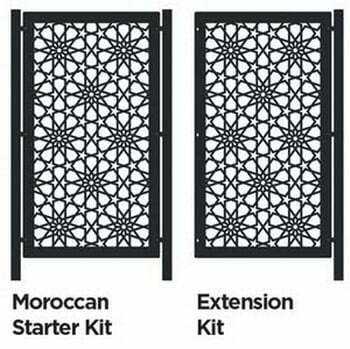 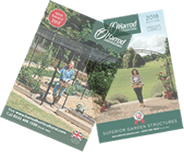 The laser cut screens are available in 3 stylish designs; Brunel, Moroccan and Leaf and come with a 15 year structural guarantee. 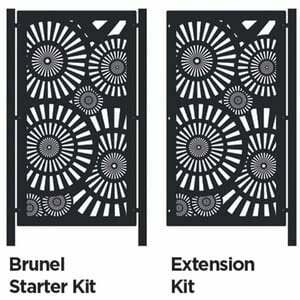 These high quality screen panels are laser cut from 3mm thick aluminium and then de-burred for safety. 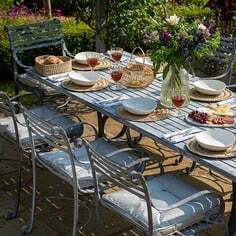 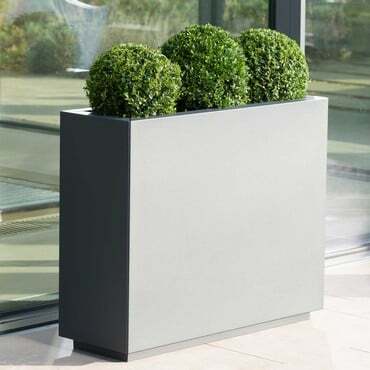 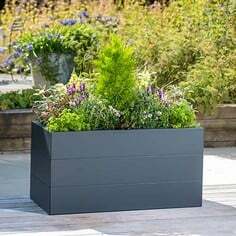 The screens are high temperature powder coated in an attractive anthracite grey for a long lasting weatherproof finish. 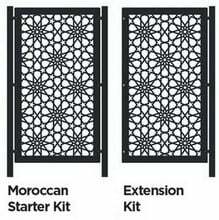 We supply starter kits which include 1 panel and 2 matching aluminium fence posts along with extension kits which include 1 panel and 1 post. 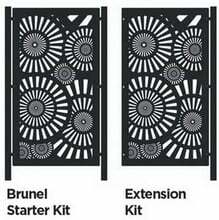 Simply select the starter kit and add as many extension kits as you require to create your screen run. 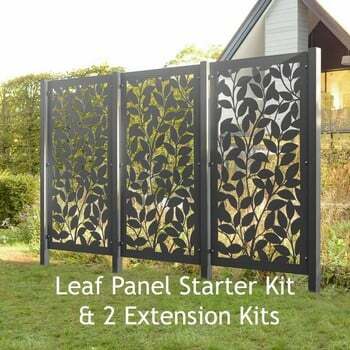 The panels measure 1.64m high and 91cm wide, when using with the starter kit the overall height is 1.8m high and 1m wide (15cm gap between bottom of the screen and the ground). 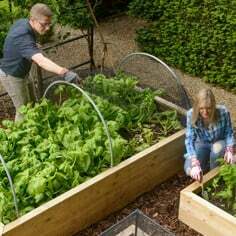 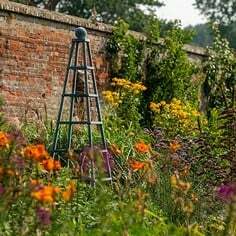 Posts are 63mm square x 2.4m high with 60cm designed to be inserted into the ground for stability. 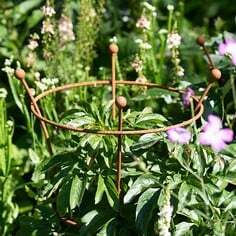 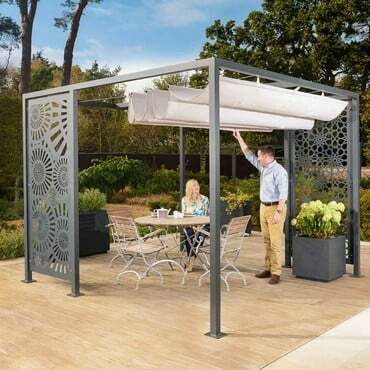 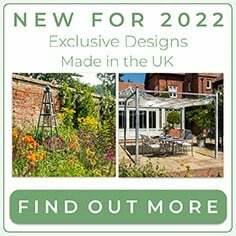 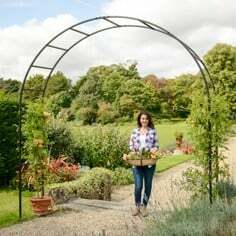 These stylish panels will make a real statement in the garden to screen garden areas, adding interest and design to the garden.